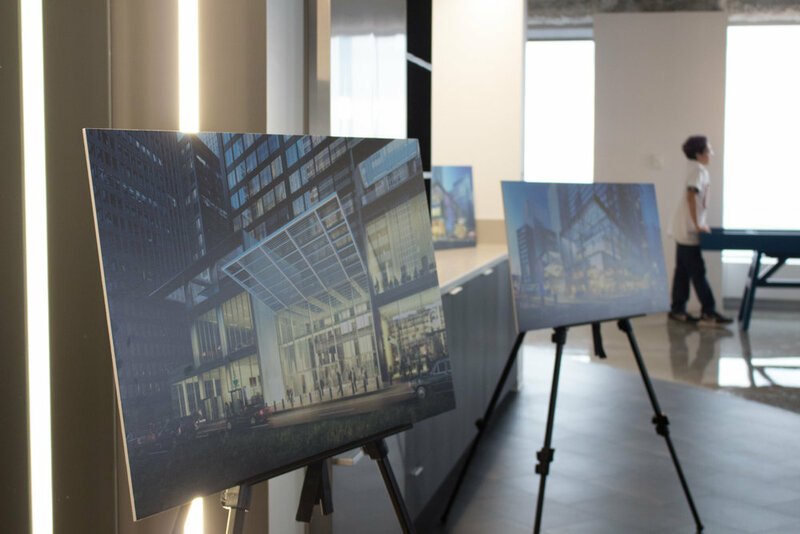 Last Wednesday, dozens of people gathered on the 57th floor of Willis Tower for the unveiling of the $500 million renovation of the iconic Chicago skyscraper. A good majority of these individuals were part of the I-NOMA family. This occasion was celebratory two-fold: Equity Office, Blackstone and The Mayor presented this history-making project to the public while Equity Office noted their $100,000 donation to I-NOMA's Project Pipeline, setting a new precedent for the organization’s initiatives nationwide. 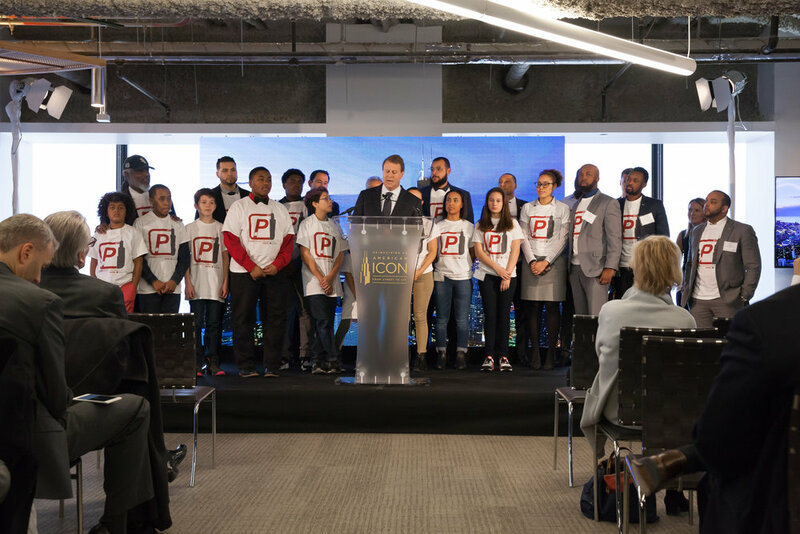 The students who attended received t-shirts designed by I-NOMA volunteers, a Lego model courtesy of Blackstone, participated in a virtual reality experience of the new design prior to witnessing the press release for the renovation project, and then took a free trip to the Skydeck, some of them for the first time. 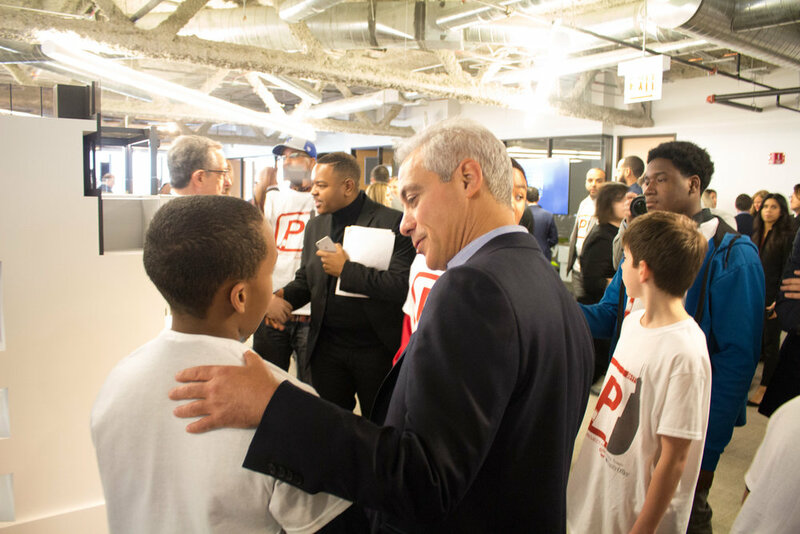 “I got to see Mayor Rahm Emanuel and got to see how the Willis Tower will be in 2 years. Plus we went to the Skydeck and from there it's a beautiful blue sky and our beautiful city.” commented one student from CPS, Talcott. Her sister who attends Talcott Fine Arts and Museum Academy said “The things they showed us today are the things that will help me understand buildings and construction for the rest of my life. 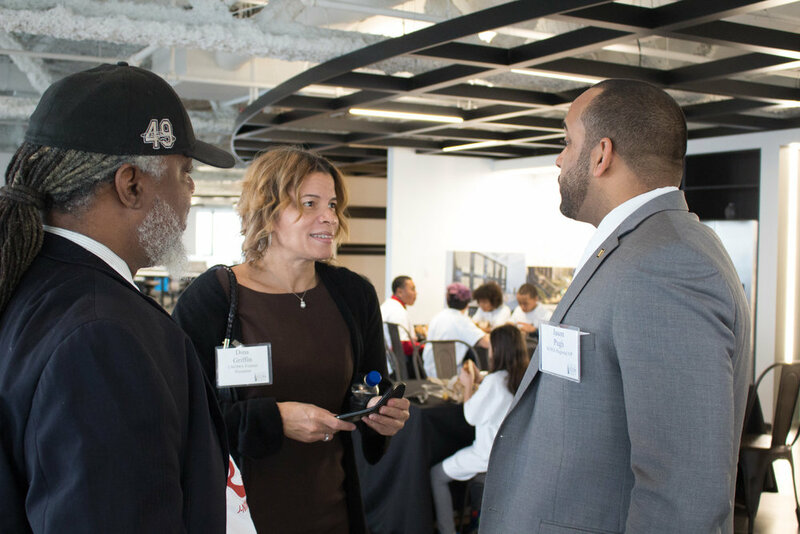 I will never forget these experiences I had with Project Pipeline.” It was an incredibly memorable event and a huge step forward for I-NOMA. The impact and exposure students receive from these experiences is priceless.